All long guns – firearms excluding pistols, revolvers, and other handheld guns – have stocks. A gun’s stock is what connects the rest of the gun to the shooter’s shoulder; this brings along with it the benefits of being able to fire more rapidly, aim with greater accuracy, and aim down the sight without running the risk of harming one’s face as a result of recoil. Firearm owners regularly modify their once-stock guns to best meet their wants and needs; one of the United States’ most popular aftermarket firearm modifications is removing a long gun’s stock or replacing it with another stock. Shotgun owners sometimes remove stocks from their shotguns to make them more friendly for home defense and defensive combat. Full-length shotguns are difficult to handle indoors, especially in residential settings, effectively lowering the probability of apprehending criminals who’ve invaded one’s home. Let’s take a look at some of the other benefits offered by replacing shotguns’ stocks with tactical-style stocks – they’re also known as pistol-grip stocks. Tactical-style stocks are shorter than default shotgun stocks. This allows homeowners equipped with such shotguns in situations involving home invaders or burglaries to maintain smaller, more compact profiles. Criminals are more likely to see shadows extending from long guns with traditional stocks as compared to their tactical counterparts, thereby keeping handlers of such compact shotguns safer than if they were to handle shotguns with traditional, bulky stocks with no pistol-grip handles to take advantage of. Shotguns with tactical stocks are significantly lighter than storebought shotguns. Storebought long guns with traditional stocks are made heavy on purpose so that shooters are less likely to sway when they aim down their sights. Heavier guns are harder to handle – this is bad for home defense scenarios. 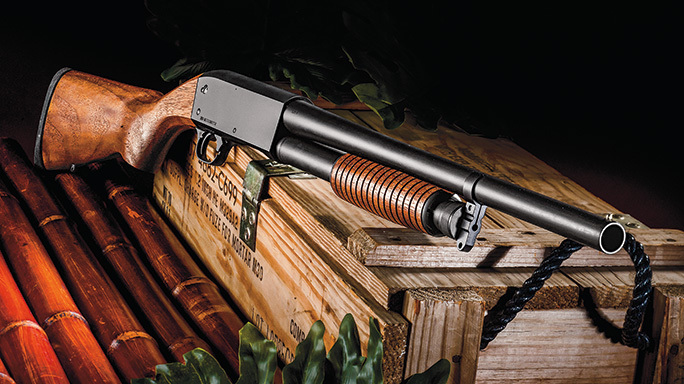 A tactical stock can make a world of difference to shotgun handlers in make-or-break situations. Although army and police personnel are far more likely to ever benefit from the advantages of tactical stocks, keeping one on your own shotgun can’t hurt for home defense purposes.